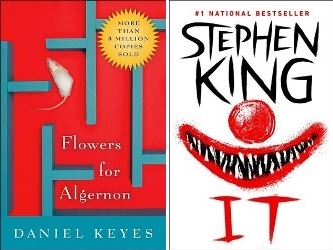 I’m currently reading both my latest TBR jar pick Flowers For Algernon by Daniel Keyes and my 800+ pages book for this year It by Stephen King. I’m only a few pages into both so I don’t have anything substantial to say yet… Other than that I’ll probably end up finishing It next month since I want to read a few other titles first. I was sold as soon as I saw the cover and blurb, and there is no doubt that the writing is just as beautiful as the stunning cover. The Dollmaker Of Krakow is a truly unique story that mixes historical events with a fairytale-like fantasy world and sometimes feels a lot like magical realism. This innocent way of approaching the holocaust is a truly fascinating angle and very well executed; the fantasy elements only add to the overal originality of the story. It took me a while to warm up to this story and to be honest in the beginning I wasn’t convinced by the multiple POVs and the amount of characters introduced. I’m not a hockey fan and I wasn’t sure if I could handle the prominent role the sport has in the story… But all those worries disappeared as soon as I reached the second half and found myself fully invested. I don’t want to give away too much to avoid spoilers (since the original blurb had a few as well), but some things will happen that will provoke very strong emotions and these feelings won’t let you go until you reach the final page. The fact that there are so many conflicting emotions will leave you wrecked, but fully satisfied. The ending is quite interesting as well, and will make you wonder about how the story started. All in all recommended despite the not that convincing start! Even though this wasn’t my favorite story, I still very much enjoyed it and I was surprised there wasn’t as much romance involved as I would have expected. Blue was a great character even though she wasn’t exactly likeable and I love her art and what it symbolizes. I wasn’t a big fan of Darcy though and I could have done without the love triangle… But the writing was excellent as always. Beautiful, raw, strong and emotional story! I’ve been looking forward to this one… And although it’s not my favorite of the bunch, it is still without doubt a very well written and suspensful psychological thriller. The main problem I had was with the main characters, which I found highly unlikeable… Rose and Garreth made me cringe A LOT. But. The writing is excellent and the situation and consequences of grooming very well and realistically described. I liked the idea of the chapters going back between past and present; showing this way both what happened all those years ago and how this effected Rose’s life even after all those years. I’ve only just finished this one as I’m writing this WWW, and I’m still struggling to decide what to make of this one. The writing style is very engaging and made this story into a very fast read. The whole funeral business definitely gives this story a unique touch and actually adds to the plot as well. I’m still not sure about the characters, but I’m hoping to write something a bit more coherent in the next few days or so. I’m pickin up Her Last Secret by Barbara Copperthwaite next even though it’s recently due next month… I’ve been looking forward to this one. I also want to read Heartless by Marissa Meyer; I’ve been posponing this one for way too long now. Another ARC I need to pick up soon is Halfway by Lokesh/Anubhav Sharma… And I have a new TBR jar pick! Lilac Girls by Martha Hall Kelly, a historical fiction read which I have been wanting to read for ages so I’m really happy this title popped up. I can’t wait to finally read it! If you are looking for your next psychological thriller, you have just found your story. Because The Surrogate is perfect for any fan of the genre and will leave you both speechless and mindblown by the last page. The story starts out rather conventional and gives you that false security that you have already figured out what is probably going to happen… And then the plot twists bombs start falling and you will discover you were SO wrong about everything. Oh yes, The Surrogate will mess with your mind and you will love every single minute of it. Because this is one brilliantly executed psychological thriller. This one was a reread in preparation of the second and final book of the duology and I loved it just as much the second time around. But then again, it’s Schwab we’re talking about and everything she touches seems to turn into gold in the first place. BRILLIANT. Error, page not found… Excuse me while my mind recovers from the blow. Because WOW. Victoria Schwab wasn’t kidding when she said this wasn’t a happy story… I admire her all the more for it even though this book kind of broke my heart… Bulldozer or not, I loved this story and how things developed. 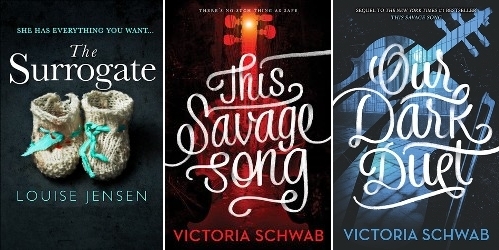 I’m not saying this Monsters Of Verity duology can compete with the Shades Of Magic trilogy, but I like to see them as two completely separate series that both deserve all the love. I’m pickin up The Mistake by K.L. Slater next even though it’s recently due next month… I loved her previous books so I can’t wait to dive into this one! ! 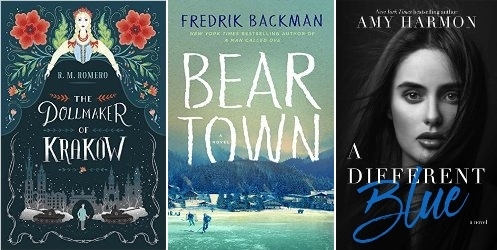 I also want to read Black-Eyed Susans by Julia Heaberlin as well as Heartless by Marissa Meyer. Both have been on my TBR for way too long now. And my latest TBR jar pick is still Flowers For Algéron by Daniel Keyes, a modern classic that I can conveniently use for one of the challenges as well and hope to read before the end of this month. 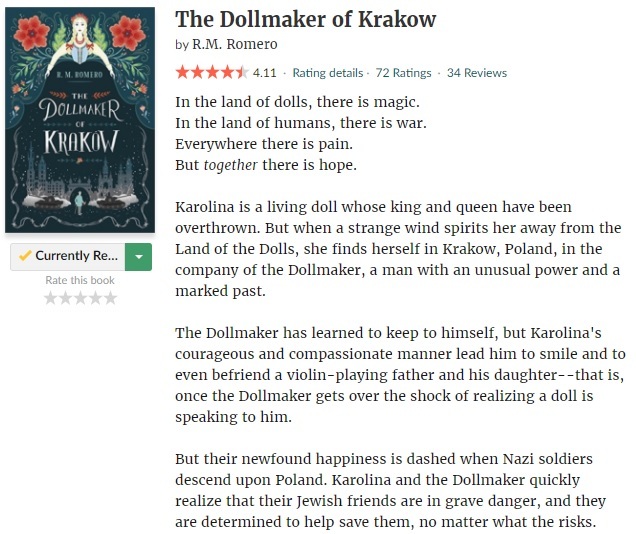 I’m currently reading one of my last pending Netgalley ARCs: The Dollmaker Of Krakow by R.M. Romero. This Middle Grade story set during WWII has been compared to The Boy In The Striped Pajamas (one of my all time favorites) and not only has a stunning cover but also sounds wonderful. I’m not that far into it yet, but I’m having a feeling it’s going to be a fast read!